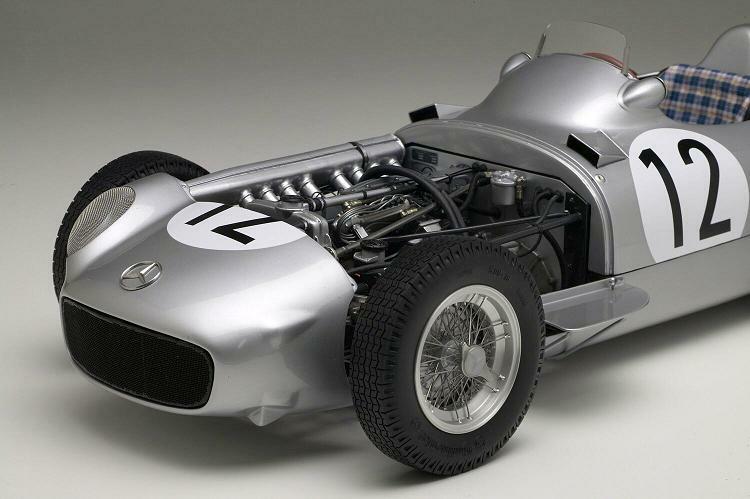 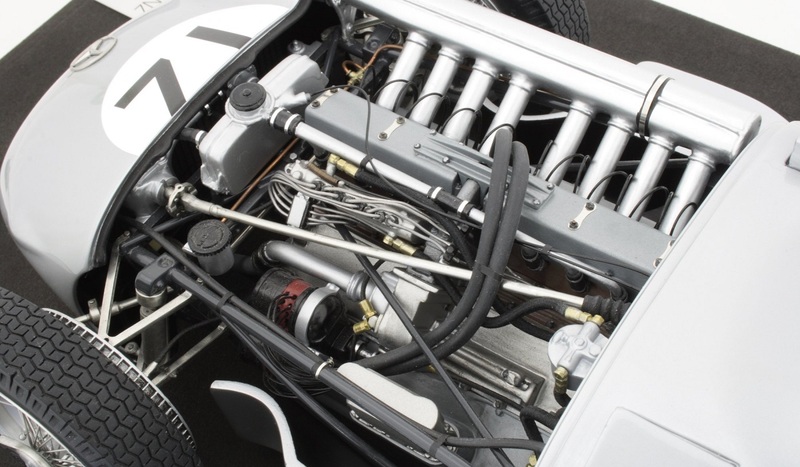 1/8 1955 Mercedes-Benz W196 Monoposto. 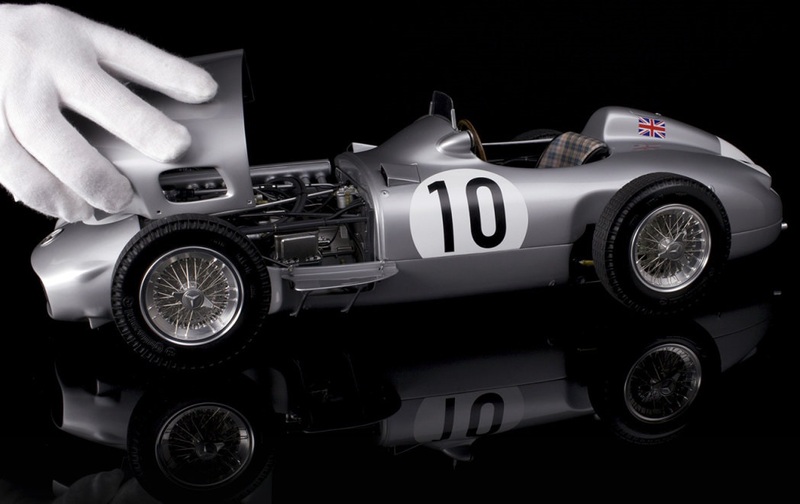 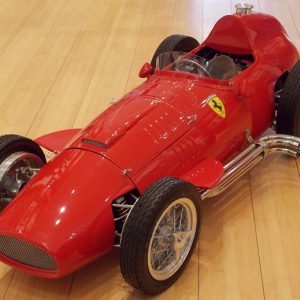 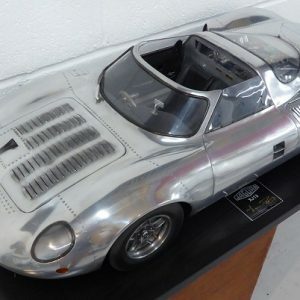 This is a precise replica of the #12 car that won the 1955 British GP at Aintree at the hands of Stirling Moss. 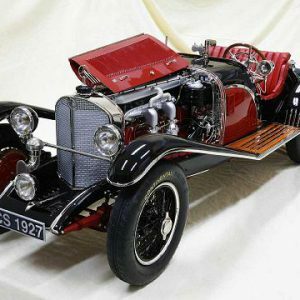 This 21″ long masterpiece features full engine detail, a real cloth tartan seat, and laced wire wheels. 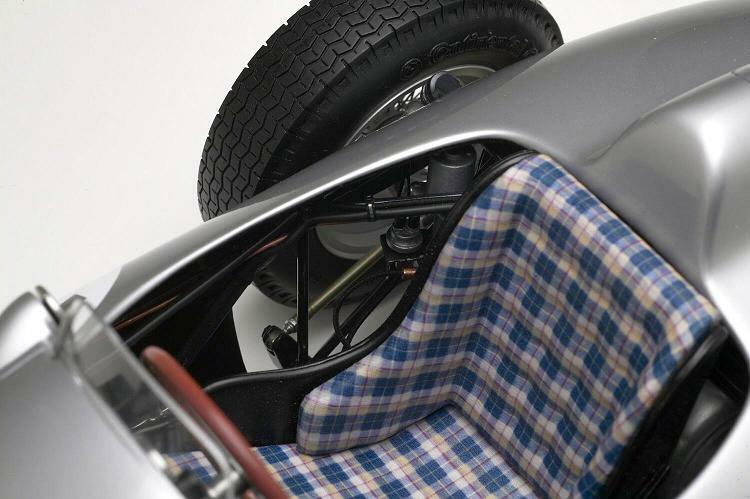 The museum quality model comes finished with a leather base and plexi cover. 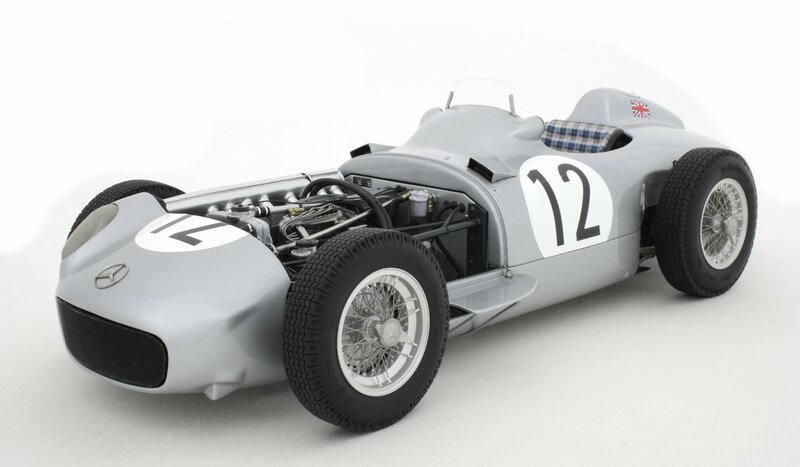 In July of 2013 the real car sold for $30M, making it the most expensive Mercedes GP car of all time!